It’s a story that happened long, long ago, in a continent far, far away, about gods and mortals, sword and magic, war and peace, and of course love and hatred. The novel is well written. It just has this compelling effect that keeps you reading without getting bored. Honestly, this right here is the quality we expect to see as being listed at the top of the most popular novels list. This is surprisingly a very well put together story, that really gives off that coiling dragon vibe based on what we know of the cultivation system of the world so far. But just the awesome world building the author does in this novel is more than enough to give it a chance and read it. 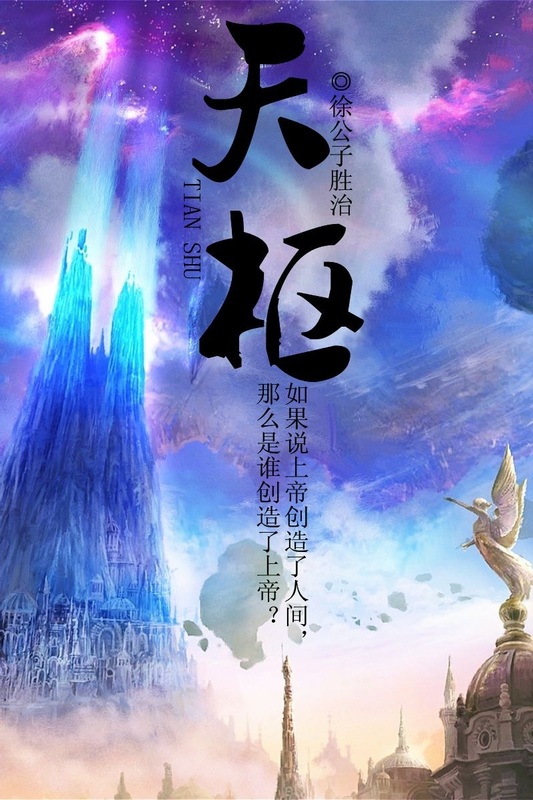 Like you rarely find Chinese novels that are this well fleshed out,... more>> the last I read was Legend of the Cultivation God, Star Rank Hunter and Tales of the reincarnated Lord. Seriously, you are missing out on a lot if you don't even give this story a try, it has the fan favourite cultivation pathway that everyone loves from Chinese novels, and the feel and mind of a Jap/Korean author behind it instead of Chinese. When in fact, everything is pure 100% chinese, but its like the author up and decided to pick up the good parts he can see from different cultures and writing styles and implement it in his own work to better himself. Also, if you are a well read person, and have an idea of exactly who the Egyptian gods were, you would enjoy it even more, as the current backbone of the whole story is based on Egyptian gods and its lore. Another example would be CrazyOle's name, or one particular name that is quite popular in certain academic circles for his philosophical (ramblings) rhetoric. Friedrich Nietzsche, that is CrazyOle's name. The characters' individual traits and how they are portrayed show that in some manner of speaking they are like a distorted image of the characters we know from history, or at least I felt as such. But distorted would be an incorrect word to describe it, perhaps an echo would be more apt. It just shows that the author is not only a well educated person who knows a bit about the characters, but regardless of what we see in the future, the fact that he author has put in such a good effort so far has won me over. I do not know if this will turn into a cultivation trope in the end with too many young masters trying to do the MC in or not, but from what I have seen so far, the author seems too responsible to wreck his work in that particular manner. Last I would like to thank the Translator for picking this phenomenal novel up. We need more brave translators such as this person to pick up projects such as this one that are so different and out of the norm (norm of chinese novels we have seen on NUF at least.) If the translator is reading this, you sir have done an excellent job, with not only picking the right novel but translating it in such a beautiful manner. Your work is highly appreciated sir, I thank you very much for it. All in all, a must read and should not miss it at any rate. Need to read at least 10 chapters to be able to judge this novel though, as there are a lot of details initially, any review written here where they indicate that they have read below 10 chapters, they can more or less be ignored as you cannot gnaw on the bone while ignoring the meat and then curse it for lack of meat. Thank you once again, and keep up the great work. I am a huge fan of this author and I have read all of his completed works so far in RAW. If you were ever attracted to Xian Xia due to the Dao elements in it, you should know that this author is recognised as the ONLY Chinese web novel author that ACTUALLY have knowledge in Daoism and Buddhism. But it is also true that his book is NOT for everyone. Even though it is often said that Xian Xia incorporates Daoist and Wuxia elements, most other books merely use Daoist terms to... more>> give the story a mystic feel, or incorporate some traditional Chinese myth into their world building, but beneath the surface what we find is still folk philosophy in disguise. What does Nascent Soul/Golden Core really mean in Daoism? The reality is actually pretty far from what is depicted in most Xianxia stories. These answers can be found in this author's books, because unlike others, his books are based on knowledge in real Daoist/Buddhist practices, he is perhaps the only real Daoist scholar among web authors (perhaps not really a professional one, but nevertheless). Some even say you can just go ahead and start practicing Daoism by reading his books. His target audience also tend to be much older than the average teenagers. So you will not find as many hot blooded revenge schemes, face-slapping scenes, steep social hierarchies waiting for the MC to climb, etc. Elements that give us the specific "Xianxia" type of joy. That is not to say that there are no antagonists or despicable characters, neither does this mean that the main characters are the typical kind/weak MC that simply refrain from killing. But even when eliminating the most evil enemies, basic human dignity is respected. After the initial character development, conversations between most characters read more like the kind that would occur between mature or even middle aged adults (though much would be lost inevitably in the translation), rather than the typical Xianxia/Manga teenager style that we are familiar with. Now coming to this specific book - Pivot of the sky. Most of this author's books has Chinese world buildings, but this is an attempt to try something different (Pivot in the sky is his sixth book, out of seven completed so far), he ventures into the history of Ancient Near East to tell a different story. For that reason, the cultivation system presented in this book is far from the complete version presented in his earlier works. The translator probably picked up this one from the rest because it is easier for a Western reader to relate and also easier to translate compared to his other works, which are more deeply rooted in Chinese culture. However, once we look past the world setting, the underlying story still takes place within his unique Daoist/Buddhist world view and cultivation system. The only difference is that instead of cultivating into Chinese Xian (immortals), the characters are cultivating to become deities like those in Babylonian/Egyptian mythology. One of the best Chinese novels around. Alongwith Ze Tian Ji and Deathsutra, Pivot of the sky forms the trinity of the 3 BEST LN's I have read so far. The story is interesting, the characters and the setting unique, the plots well woven. Amon, the protagonist of the story, is tasked with an important task: Discover the secrets of the Gods! Excellent writing. Clear, well done characterizations. Excellent (if simplistic) depictions of society and politics. I generally don't come to a judgement this early in the story.... But this one forces me to!!! Simply well written. This is the story of the Chosen MC. It might sound similar to a lot of those others but MC is not reborn, doesn't have old guy inside his body and so far has no cheats other than his talents. The writer seems to be willing to write about some hot romance as well. Also, there are a lot of details in this one, similar to TJSS. However, I personally... more>> like it. Definitely worth picking up. If you don't like it till chapter 10, then well.. Maybe not your cup of tea. But I strongly recommend this. EDIT: After first major arc (30 chapters), I have to say.. it lived upto my expectations so far. The foundation is splendid. And there is even a huge amount of mystery element..A lot of opportunities for world building. EDIT 2: After chapter 59, I am going to still say 5 star. The mystery and fantasy elements are really taking off, and the world is slowly being shown to us. Great character depth as well. If you dont like cliché stuff like a treasure that changed the destiny of the MC then. This is your cup of tea. The MC only has its talent and someone just guided him. He only have a high starting point. And definitely good read with a relatable and stable world building. Tho the info dumb maybe be uncomfortable at the start but thats how nice novel are created so read it and enjoy. Epic in the making. I wouldn't have guessed this is a chinese-made novel. Impeccable story line and great potent characters so far. For comparison, it has both the 'tales of reincarnated lord's and 'rakuen no moshou's feel and writing styles which is nothing short of brilliance. Not your typical wuxia/xianxia story, but very close to hearts on the topics of divinity and immortality. Must applaud that the translantor (s) for doing such a great job. Has potential but a bit lenghty and full of unnecessary stuffs. And also if you're a diehard egyptian fan/historian/etc you'll get mad with this. Many stuffs has been rewritten regarding how egypt works and such. The story is a bit confusing because it always focus on the side characters for now. Like how Chapter 1 started with a worshipper. But it was a nice start 'cause you can atleast picture out the world the MC lives in. Can't say much about how the story will later on go because we... more>> only get to see 3-5 chapters of MC interacting with the prospect romantic partner. There's not that much conflict. One of my well-loved novels. For me, It has a vibe like Legend of Cultivation God and Ze Tian Ji. It incorporated Egypitan gods in the story, which is a first for me while reading a Chinese translated novel. It is somehow different from your typical Chinese webnovel but the cultivation and magic are still there. The writing is very well done!! Chapters are very very long!! ... more>> Cultivation seems pretty simple- similar and at the same not similar to Coiling Dragon-basically it is warrior and Mage in similarities anything else is completely original! Reminder; the first 10 chapters are the prologue which set up the story, so if you think it is slow or that the MC should have already been a half god or something than sorry to disappoint!! It's a totally unique book in the wuxia genre. Its a totally unique and the characters are well developed. With the foucus not only on the main characters but the side characters as well. The world building is superb as well, very realistic. I would recommend it to anyone looking for something new and different. This is one of the best novels that I've come across on this community and I have read a lot. The world building and story and style of writing is top-notch.I can't find a single thing to complain. The author is very very famous on Qidian and this is his one of his best works. Sad that none of the other works are being translated. Strongly recommend anyone who is looking for new novel to read this. This could possibly be the best novel I have ever read. For the first time, I don't feel like skipping over the random fillers that the authors put in between the real story just to have more words... in this novel EVERYTHING is important. If you missed a single sentence it could leave a lot of precious information. It feels like those episodes of Law and Order where you try to decipher the case along with the detectives only to find out your hypothesis was way off, but still feel... more>> good about being tricked by the show. Yeah, that's how I feel about every chapter. The world building is awesome, nothing feels pushed. Everything is laid out in a way to give the reader enough information to know, but not to overload. Man I love this novel. Please give it a try. The story is not just about the main character becoming strong. It is much more then that. This story feels alive, as in every character feels important. No one is laid in front of the main character just to make him look cool, and the main character is not this omniscient god that can see trouble miles away. He is human, makes mistakes, and learns from them. It's just hard to explain how good this story is being written. Historical and Mythological literature is my crack (like Mahou Tsukai no Youme), so coupled with Cultivation undertones makes this novel a damn fine piece of art. You can feel that this is not a mere wish fulfillment tripe but a well thought out one like some popular young adult novel (Harry Potter is an extreme example of a hero journey in mythical world). What makes this novel more interesting is teenagers behave as teenagers and adults behave as adults (respective to their status and positions), so you can feel that they... more>> are REAL people in harsh yet mythical world, so different yet in similar geography to our own. This novel does not know what it wants to be. The author attempts to create a vast, rich fantasy world through irrelevant and pointless details and unplanned plot. This novel believes itself more sophisticated than it actually is. Firstly, the writing quality is poor. Writing paragraphs of pointless exposition does not make you a good writer; it makes you a wannabe Tolkien. You aren't Tolkien. Stop trying to be him. Stop writing words just to write words. I am perfectly fine with long form fantasy novels; hell, my favorite fantasy books are thousands... more>> of pages long. Wheel of Time has a ridiculous amount of exposition, but that serves a purpose. Here, it's mostly fluff. This novel is trying to join the "Sanderson/Tolkien/Kay/Le Guin" club of quality fantasy writing while also trying to maintain the form of a standard Chinese webnovel. It does NOT go well. All of these "5 star, 4 star" reviews speak to the readers' ignorance of quality writing more than it speaks to the actual caliber of this story's writing. Just because you see big words and long sentences and lots of exposition does NOT mean this story is good. It's a mediocre attempt at great writing at best and a half-baked sketch of the author's overinflated ego at worst. Secondly, the plot makes no sense. The author got so caught up in creating worldbuilding details that he didn't stop to think of one event would logically lead to the next. Sidequests pop up sloppily and pointlessly, and this author could build a firearms empire to rival the Winchesters' with all of the Chekhov's Guns he has lying around. After reading all available chapter I feel this will easily become a masterpiece. The main character is fantastic, his personality is very human and commonly unpredictable. He seeks out relationships with people, is caring of his friends, and most importantly you feel like he is important. At the very beginning he is a very weak character, his progress is slow but he gets stronger step by step. He isn't totally irrelevant with other protecting him, or OP as hell... you feel he's a genius but reasonably. He will avoid killing... more>> those who are weaker than him, believing that sparing them will not come back to bite him. However, if sh*t hits the fan he will be ruthless and slaughter his way to survive. Its relatable, being benevolent when you can afford to but not sparing a soul when in dire straights. This is one of the most meticulously written novels I've seen in the community, second only to perhaps 'Release that Witch', and given enough time I can definitely see it becoming as popular. Writing - doesn't have my two bugbears of repetition and waffle, I can see how it may feel lengthy to some, but I think that's fine so long as... more>> it serves as purpose and isn't just padding for its own sake. Story - has a clearly stated goal with room for exploration. I don't think every story needs to explicitly state an endgame, but I've seen many novels that would've been better served had there been some direction and forethought from the beginning. Characters - it's so refreshing to see children behaving... *gasp* like children! (and not mini adults) - which should probably sum up my feelings regarding the characterization, but to be less lazy the characters feel like real individuals with realistic motivations behind their actions. The dialogue doesn't feel egregious or out of place. The MC is another 'kid genius' but going back to my first bit, actually behaves his age from time to time, and the interactions between him and the potential love interest at the start of the story are a good read if you like to see awkward kids trying to act mature. Pivot of the Sky is probably best described as a Daoist rehash of the other major religions. It's both brilliant and kind of cringey. ... more>> Rehashing other religions is always risky. In some ways, it's really exciting and gives a great atmosphere (more below) but in others, it makes you roll your eyes at some of the anachronisms and reinterpretations of old mythologies. I mean, if nothing else, making an MC who is a young boy growing up to be Amon (Ra), who uses a fake identity of 'Allaha' and whose love interest is "Maria" with a caretaker called Gabriel... It would be fitting for a comedy, but Pivot of the Sky is written in a serious tone. Of course, this means that all of the mythology in Pivot of the Sky is also unfaithful to any of the originals. So if you're a purist in terms of details in how gods relate to each other, whether it's Mesopotamian, Egyptian, Islamic or Christian religions, then this is probably not for you. It's also not for you if the names and vague references to random characters, from random time periods and mythological stories mixed into a story irks you. I have to say I often find it pretty annoying sometimes. Another considerable weakness of this series is the slow start. The first 10 chapters of PotS are really tough to get through. Don't give up until at least reading 15ish chapters, since it really picks up after that. Okay, so now the positive comments. Hooray! The cat is the real MC. Bastet is <3. 'nough said. If nothing else, this series is amazing in how it uses the premise of cultivation novels and daoist ideas of humans achieving divinity. The central premise of PotS is weaving together various stories of Egyptian, Mesopotamian mythologies into the story of a young genius cultivation talent's journey through cultivation levels to divinity. It's really exciting to see the familiar names of gods and goddesses, sometimes the 'undercover' divinities and see which stories are being woven into the plot. If you're vaguely curious in religious mythologies, PotS is also a great way to learn about various stories and names and looking up more about them. Another nice aspect of this Daoist-Foreign fusion is the presence of a very traditional high fantasy magic system in the world. It's, of course, affected by the Egyptian details, but is at heart a Harry Potter-esque magic system of throwing around fireballs or ice spikes with gemstone powered magic wands. On the other hand, don't expect things to be all that original or central. The magic and cultivation systems are very traditional and kept simple. Another great aspect of this story is the romance. This is not another pick up all the girls with no personality and forget them a paragraph later harem isekais, this novel has some great characters with mysterious backgrounds, their own difficulties and political schemes. Most of the romance is also (at least as far as I've gotten as of now) flirtatious or suppressed, people yearning for others or playing with others (in the case of the goddess). That being said, there are some issues with the romance too. First, there are a lot of fairly sudden developments between characters that don't really have the context to happen. Both in the case of Maria and Inana, it takes less than a chapter to go from meeting to petting with little in between. For a chinese, male written novel, PotS has a really great cast of female characters. As mentioned in the romance section, the female characters have their own personalities, many of them dark sides and many of them are very powerful, not least of which are our super cat and mischievous goddess. Even better, the novel shows much of the paternalistic aspects of the cultures, whether it's the disdain of many of the high priests towards the female adoratrice, or the mismatch of male and female rulers and the cloistering of women inside temples or the roles and say in marriages. A lot of reviewers have complained about the writing style or even that it's episodic with lots of irrelevant detail... but it's actually very well written and translated, and almost everything is relevant to the plot, so not sure what they're talking about. If I hazard a guess, I think this is related to the slow start of the novel, which, as warned above, is really hard to get into until at least 10-15 chapters in. The author was too intent on getting a background and scene set up that he neglected the excitement and characterisation, so it feels dry and almost like a historical text. That ends quickly though, and it turns into an cultivation adventure shortly after. The plot also jumps around somewhat. The MC meets characters who fade into the distance as he travels around, but if you just stick with it, the characters all come back. As the story goes own, you start to see how these different countries and people start to whorl into a vortex over the war and rebuilding of Duc centred around the MC's connections. Like, I get it, there are a shat ton of Chinese novels with badly written plotlines, zero logic, 2D characters, etc etc, but the fact that you’ve linked that sort of writing to Chinese authors as a whole and you’re claiming that good writing doesn’t sound ‘Chinese’ is incredibly rude and patronising. Keep in mind... more>> that those are Lighy novels. The very fact that you can find extremely poorly written ripoffs of the incredibly entertaining ‘Cultivation chat griup’ is sorta proof that anyone can post their works and get it translated onto here. You wouldn’t find Obama writing on FanFiction. Net or AO3. You wouldn’t find TS Eliot on wattpad. You wouldn’t find Murakami on Novel updates. Just because you’ve read a few sh*tty ones filled with ‘face-slapping’ or instant gratification scenes by Chinese authors on this site doesn’t mean that Chinese authors use that style of writing normally. You’ll find the same occurring with Japanese and Korean authors - it’s not like all of their novels are of guaranteed quality and content (not to say that there aren’t amazing ones). It’s like looking at all those werewolf stories on wattpad written by preteens about anatomically impossible ‘intimate’ scenes and soul mates who emotionally abuse each other, and generalising that to the entirety of all werewolf novels? And when you do find a good one you say something like ‘oh it’s in a werewolf setting but like it’s like a mystery-genre novelist wrote it’ or something. It’s really pretentious, and in my opinion degrades both Chinese light novels, Xianxia in particular, as a genre and also the author’s own effort in making such a story.